The Panasonic Lumix G X Vario 12-35mm f/2.8 II Lens improves on its predecessor, the Panasonic Lumix G X Vario 12-35mm f/2.8 Lens, with a full refresh designed with video users in mind. It features a fully silent design, thanks to the inner focus drive system, while a new iris provides smoother automatic exposure changes with its micro-step drive system, which allows your camera to smoothly capture brightness changes when zooming or panning. 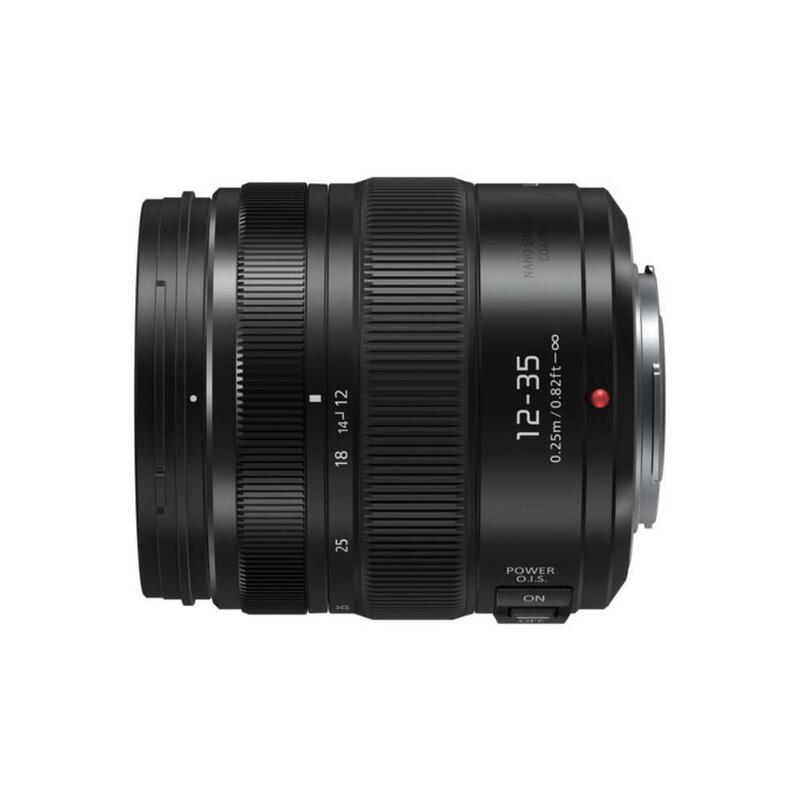 This lens is designed to handle 4K video and has a 240 FPS linear motor for ultra-fast focus tracking that is compatible with cameras equipped with high-speed Contrast AF, such as the Panasonic G9. AF tracking when zooming is also enhanced, performing high-speed frame analysis for better focus control. Optical Image Stabilization (Power O.I.S.) technology is built directly into the lens and pairs beautifully with the Dual Image Stabilization 2.0 system found in the Panasonic GH5. Other notable upgrades include more robust dust and moisture sealing and a new Nano Surface Coating for top optical clarity. It maintains the same fast f/2.8 maximum aperture across the entire zoom range, as well as maintains the same versatile wide-angle-to-medium-telephoto length, making this lens ideal for a vast number of applications including events, travel, documentaries, vlogging, sports, and wildlife. • This lens is compatible with Micro Four Thirds mount cameras. The focal length equivalent in 35mm format is 24-70mm.